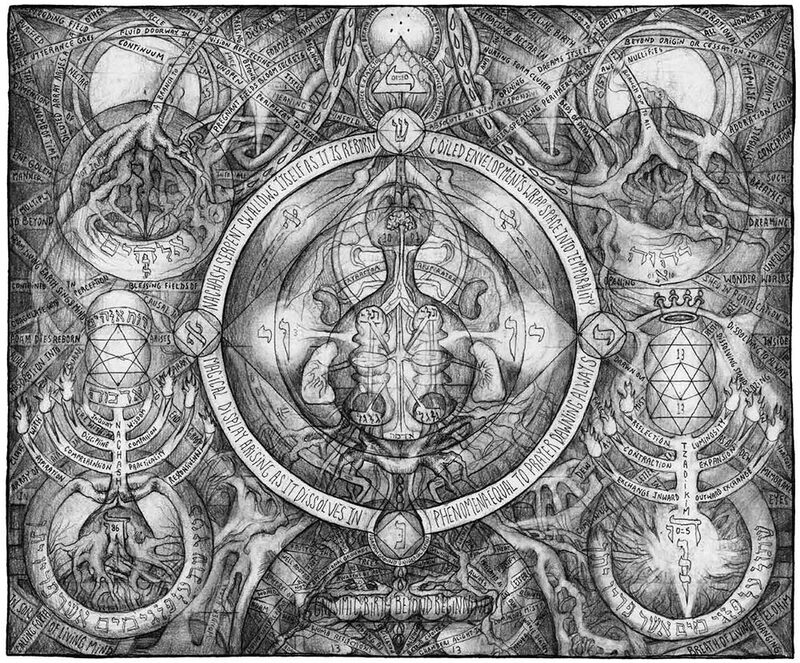 Many thanks to the Kabbalistic artist David Chaim Smith, who was kind enough to send me a copy of his book The Blazing Dew of Stars, published by Fulgur Press, as well as allow Ultraculture to feature some of his incredible artwork, below. 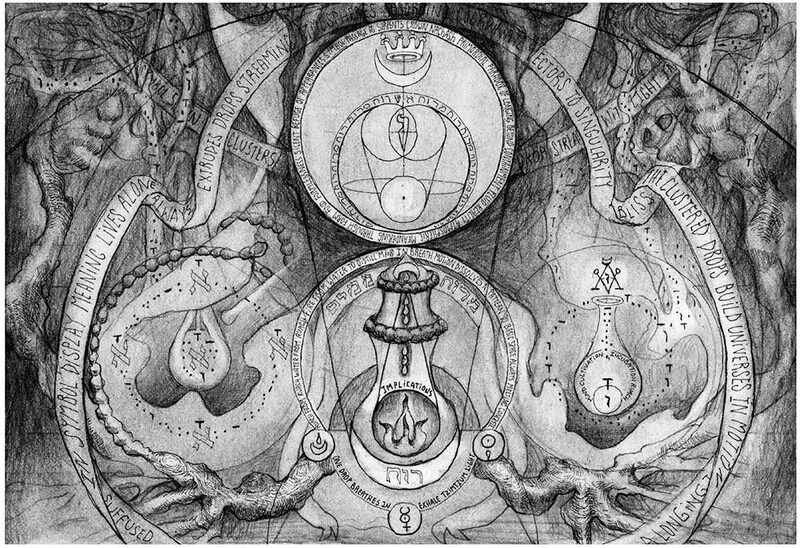 Smith ranks among the best of modern artists influenced by magick and alchemy. 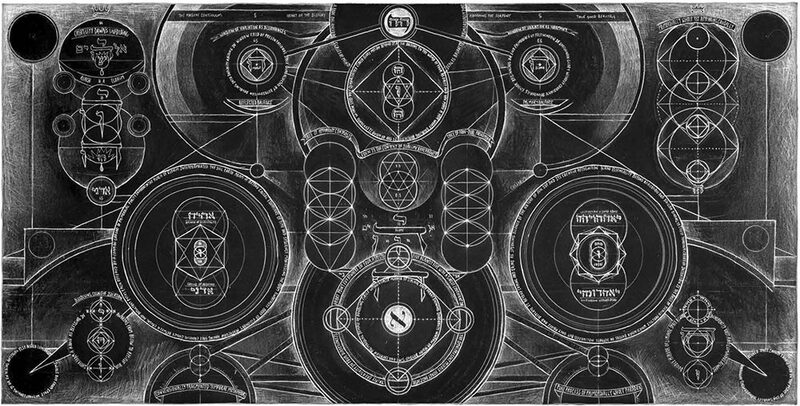 Smith has been working with the Kabbalah for years, and I think you’ll be able to see immediately from the work below that he takes it very, very seriously indeed. Chaim weaves the Tree of Life and the Old Testament together with the body, piecing together a greater whole that is distinctly occult and distinctly his own. Here’s Smith’s biography, via Fulgur. (You can see a picture of him in surrounded by his notes at the bottom of this post). David Chaim Smith (b.1964) is an artist and writer based in Brooklyn, New York. He was educated locally and attended Rhode Island School of Design where he gained a BFA in drawing. In 1989 he graduated from Columbia University with his Masters. Even from early days, David has sought to challenge convention. 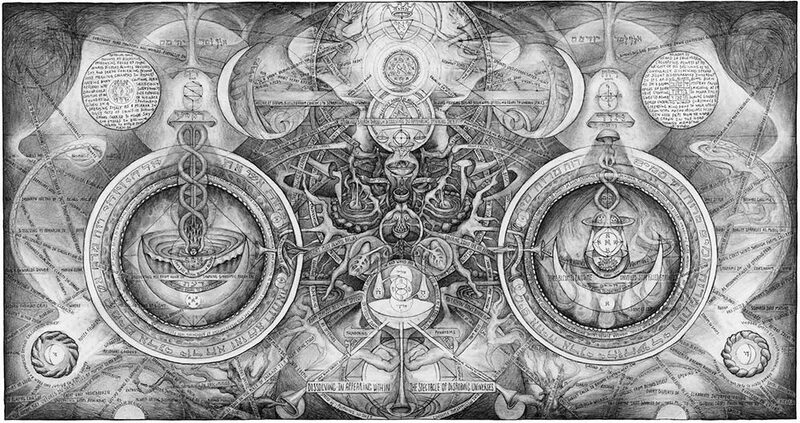 His younger years were at times turbulent, but through a process of introspection David began to develop his skills as a draughtsman, mapping his internal universe symbolically. 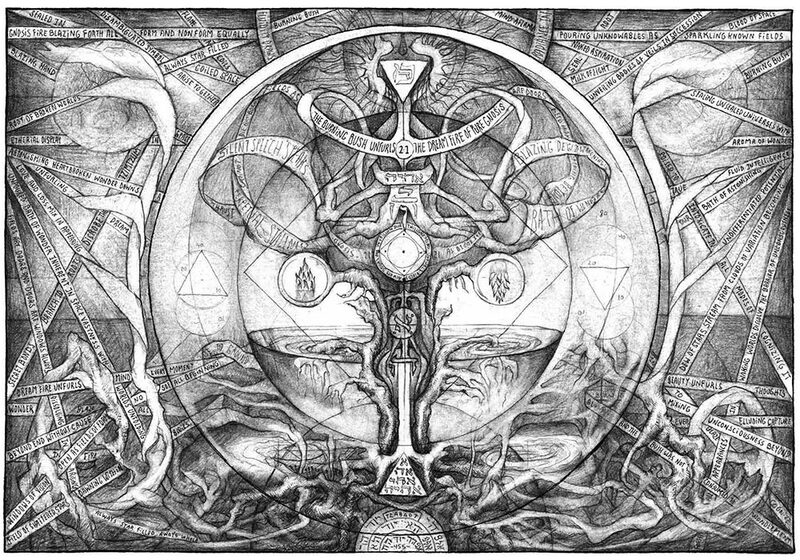 These ‘gnosimes’ (as he terms them) deepened his interest in exploring such occluded worlds, and subsequent to graduating from Columbia David began an intensive study of alchemy and Western Ceremonial Esotericism. 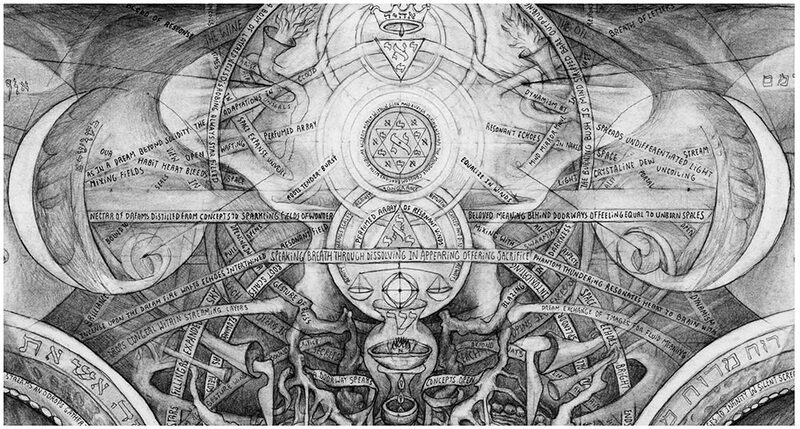 Over the next seven years David studied the Golden Dawn system and worked within several Lodges, but in 1997 he set aside both this structured approach and all activities with his visual art to take residence in a gnostic Hermitage in the American midwest. In his studies there he found new methodologies, most notably those for approaching a non-dual perspective via a Gnostic-tantra praxis. In 1999 David encountered The Fountain of Wisdom, a text that has survived as a 13th century manuscript in the Vatican Library. 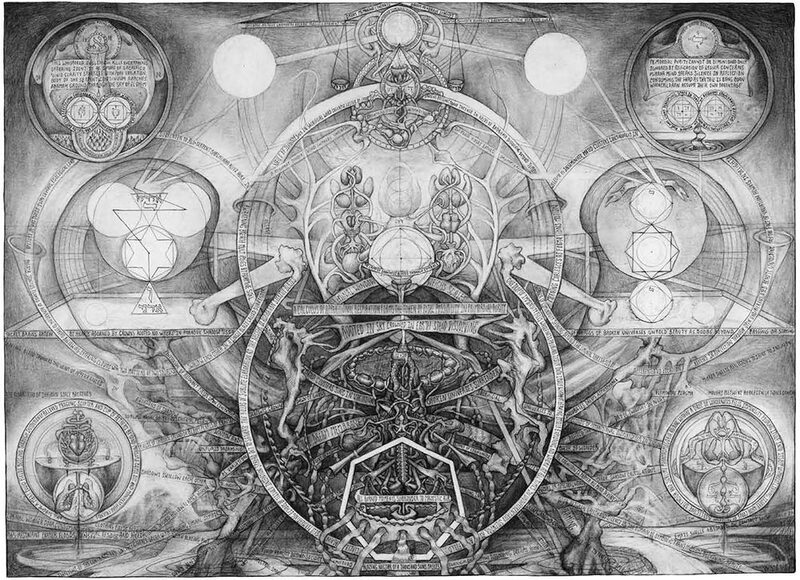 He worked with the text for many years, drawing from his experiences as an ecstatic visionary artist. In 2004 he made a breakthrough in interpretation with the development of ‘graphic maps,’ and within a few years had reached a degree of fluency that allowed him to transfer their syntax and visual vocabulary to works of art. 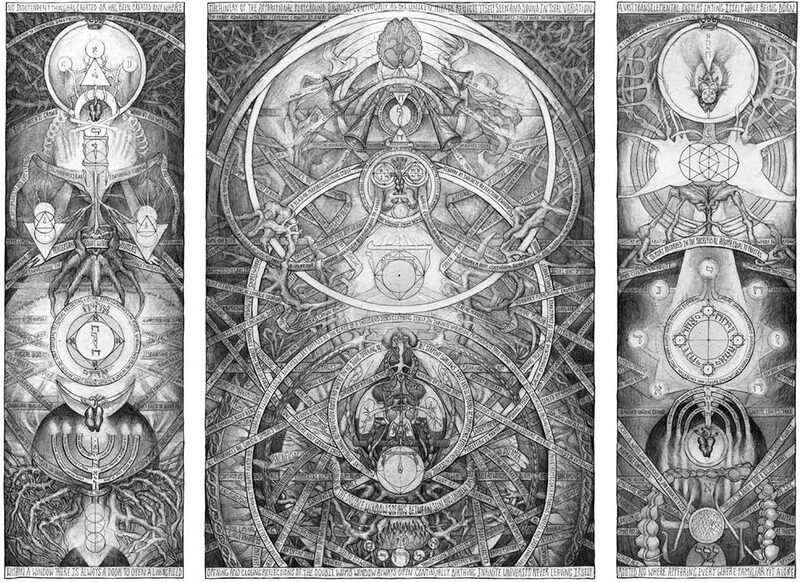 His series of drawings such as Machinery of the Apparitional Playground (2007-2008), Blood of Space (2008-2009) and The Sacrificial Universe (2009 to date) are numinous examples of his progress. 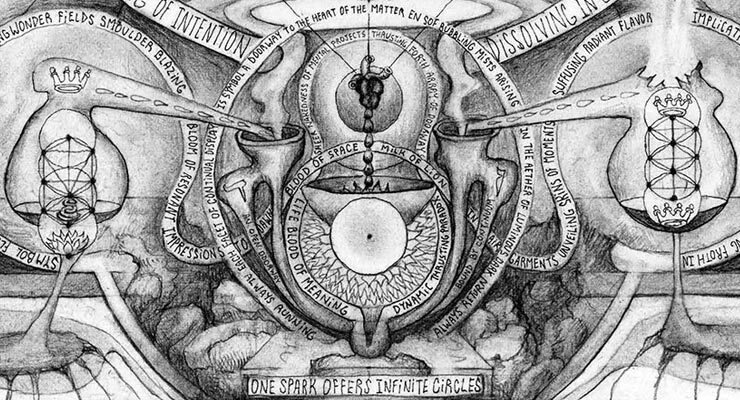 As a writer and artist whose creative engine is fuelled by a devotional approach to ecstatic visionary mysticism, a unique dimension of David’s work stems from aspects of ideational contemplation considered as a mystical path. David has self-published material in the past, but his most recent work has been for others, most notably The Kabbalistic Mirror of Genesis (Daat Press, 2010) and an essay entitled ‘The silence that speaks’ in John Zorn’s excellent Arcana V (Tzadik, 2010). He has held exhibitions at the Cavin Morris Gallery, NYC, (2010) and at the Andre Zarre Gallery, NYC, (1995). His new book, The Sacrificial Universe, explores recent themes in his graphic work. David Chaim Smith’s work The Kabbalistic Mirror of Genesis is available new from Inner Traditions. A new book, The Awakening Ground: A Guide to Contemplative Mysticism is forthcoming in June. Check out his artwork below—thanks again to Smith for sharing it with us!